Whew! That was a close one! We nearly had a shipping disaster on our hands! But never fear, Genevieve has remedied the situation! 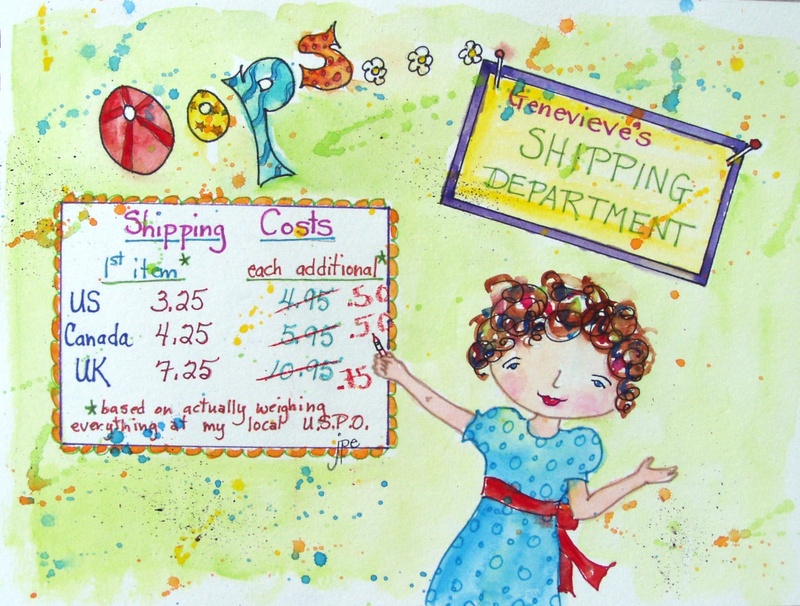 I do hope the OLD shipping prices on the newly opened Drawn2Shoppe haven’t driven any of you away! The first order came through (yay!) for multiple Genevieve items, and when all was calculated, the shipping cost was going to be $18+ dollars for it all! Yikes! ***Please remember that you have until this Friday, June 24th to enter your name in the drawing for two FREE Genevieve items. Click here to see which two are being given away. Just leave a comment here or on FB, retweet this or email friends and your name will be entered. 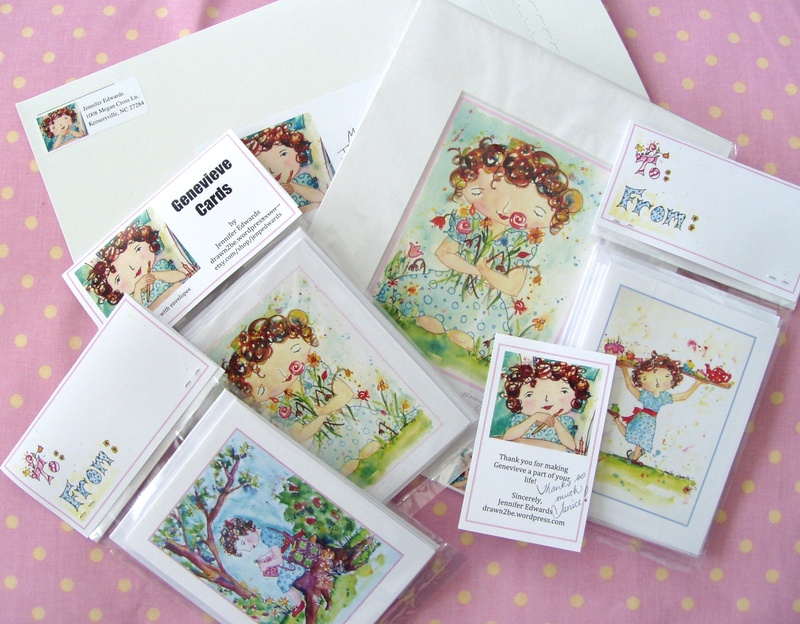 Thank you to ALL who have tweeted, facebooked, emailed and phoned friends about Genevieve and her new Etsy Shoppe. I so appreciate it! You are all just terrific! Gosh, these cards are so cute! I love how you’ve packaged them….very professional but personal. Very cool.